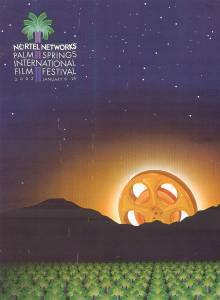 PALM SPRINGS, CA -- The recently-concluded 14th annual Palm Springs International Film Festival was a triumph in every respect. Over 75,000 people attended the two-week festival, the most ever, and the quality of the films on display was exceedingly high as well. Over 200 films were screened, 45 of which were foreign-language Academy Award entries (out of a possible 54, a record for the festival). Unlike other international film fests such as Sundance and Cannes, the focus is not on the glitzy, commercial side of the business, the selling of product, the flaunting of stars. While Palm Springs did throw a few parties and galas for the likes of director Franco Zeffirelli and actress Lynn Redgrave, the main emphasis was on the showcasing of the finest new films from around the globe. As one festival fan put it, the films "take me to places I've never been and may never go. They teach me about the moral and ethical values of a particular country." Another attendee, cinematographer Wally Pfister ("Insomnia"), said he loved the festival's passionate lay audiences, which he called energetic and knowledgable. "It's wonderful to have your peers see and recognize your work, like at Sundance, but to have someone in the audience come up and say, 'I don't know what you did, but I felt the impact of menacing light,' is fabulous. It's the greatest feeling in the world." Jack Talmadge, a retired executive from Palm Desert, said what he admired most was the gutsy entepreneurial spirit in young, independent filmmakers. At his first festival four years ago, he said he met a producer-director who didn't have enough money to complete post-production on his film, "St. Patrick's Day." He wound up writing him a check for $2,500. Finland's "The Man With a Past" won the International Critics Prize for the Best Official Foreign Language Film of the Year. The Israeli director Nir Bergman took the John Schlesinger Award for Debut Feature Film for "Broken Wings," and the Audience Favorite was awarded to "OT: Our Town," a documentary by Scott Hamilton Kennedy. Other Top 10 Audience favorites were, in descending order: "The Magdalene Sisters," directed by Peter Mullan (UK/Northern Ireland); "A Peck on the Cheek," directed by Mani Ratnam (India); "Touching Wild Horses," directed by Eleanor Lindo (England/Canada); "Nowhere in Africa," directed by Caroline Link (Germany); "Bank Ban," directed by Csaba Kael (Hungary); "Kabhi Kushi Kabbie Gham," directed by Karan Johar (India); "Spellbound," directed by Jeff Blitz (USA); "Small Voices," directed by Gil Portes (Philippines); and "Mr. and Mrs. Iyer," directed by Aparna Sen (India). Two favorite films of mine were THE MAGIC BOX, a Tunisian entry written and directed by Ridha Behi, and LOVE THY FATHER, written and directed by Jacob Berger (son of the wellknown writer John Berger). The former focused on the troubled marriage of a Tunisian scriptwriter and his French wife. Despite their comfortable, middle-class life and two children, she feels stifled living as an expatriate and yearns to return to Paris. He too is dissatisfied, more with their rather empty urban life than with her. Having grown up in a small Tunisian town and experienced the richness and warmth of a communal upbringing, he decides to go home and shoot a film about his youth. Both are caught between past and present, Europe and Africa, love and hate. This touching, insightful drama was sensitively shot by Greek cinematographer, George Arvanitis. LOVE THY FATHER is a gripping, even gruelling drama that deals with the explosive relationship between a famous writer (Gerard Depardieu) and his son (Depardieu's son, Guillaume). The film shows the price that must be paid when an artist sacrifices love and family to achieve fame in his work. The confrontation scenes between the Depardieus are made doubly powerful in light of the real-life problems between the two of them.